The 250W MBIF lamp from Thorn Lighting was the first HID lamp that achieved widespread success as a light source for retail spaces in Europe. One of the first users of these lamps was the British chain Marks & Spencer, who for many years had striven to simulate daylight conditions in the high quality clothing departments of their stores. Previously that task had always been accomplished with very large numbers of linear fluorescent lamps in oversized luminaires. 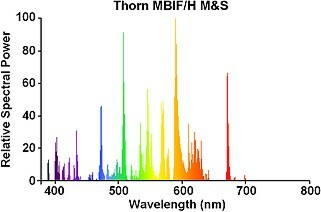 The MBIF lamp offered the possibility to reduce the number of light points, but before accepting this light source, M&S noted that the output was slightly lacking in the red spectrum. To win the contract and be first to establish metal halide as a lamp for retail interiors, Thorn developed a specially modified lamp exclusively for use in M&S stores. The additional component of lithium iodide and an increased thorium content was employed to produce extra red light and raise the R9 red colour rendering index by a few crucial points. 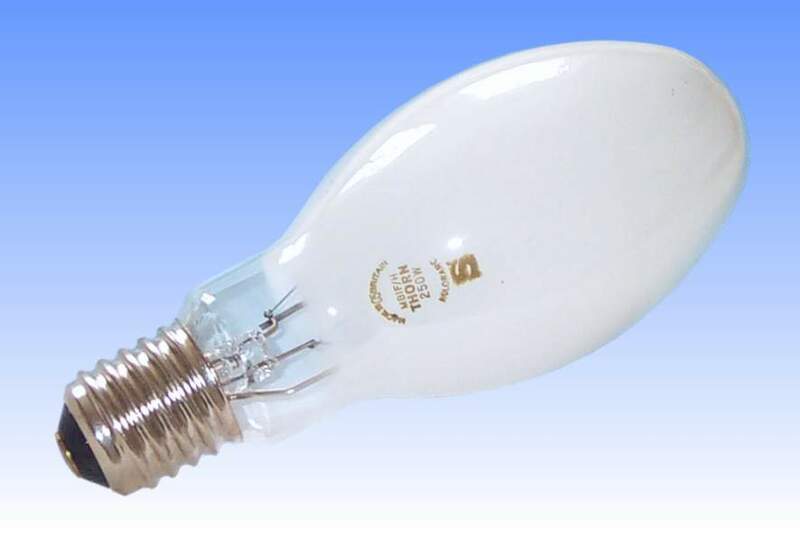 Thorium is well known for its capability to add red light to the spectrum of metal halide lamps, and this was the first use of lithium for the same purpose but in newly discovered proportions which do not negatively influence the lumen maintenance of the lamp. 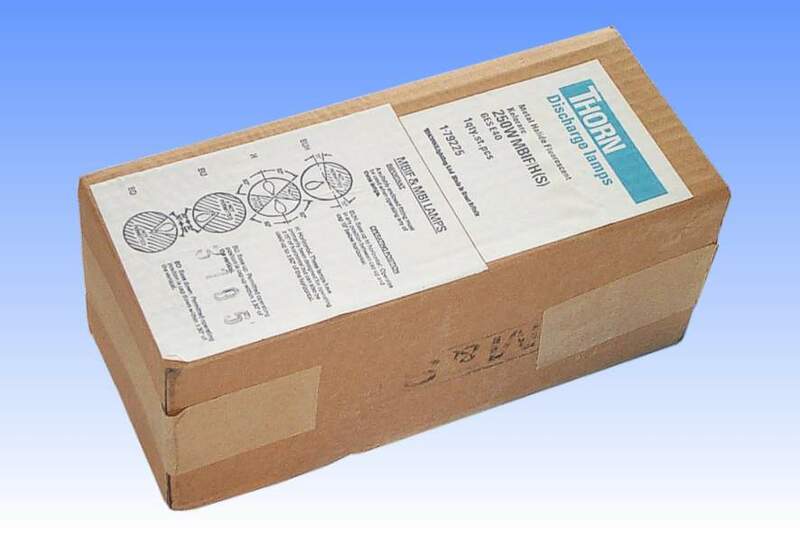 US Patent 4,247,298 was awarded to Thorn for the invention. The mercury pressure in this arc tube is sufficiently low that the lithium radiation is not significantly broadened into the infrared spectrum which would otherwise lead to a reduction in luminous efficacy. To maintain high luminous efficacy, the usual red-emitting yttrium vanadate phosphor is combined here with blue emitting strontium chloroapatite. References: 1) US Patent 4,247,298. 2) Private communication with inventor of the M&S lamp.